Let’s face it, if you’re on a no-carb diet, Japanese food probably isn’t for you. The Japanese diet consists mainly of rice and grain-based noodles – but it’s delicious and simply irresistible! 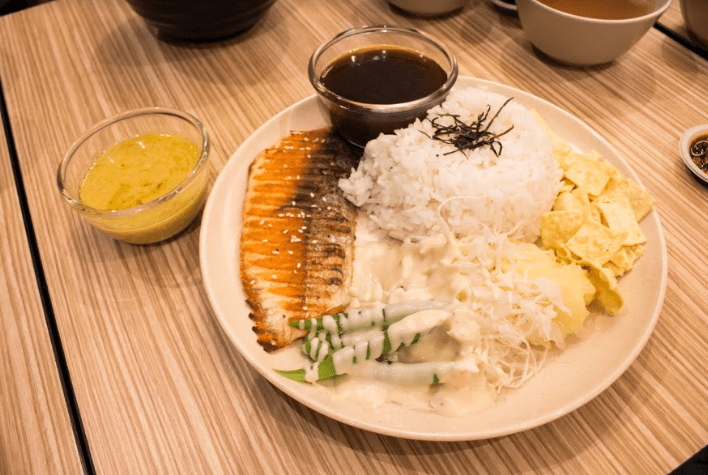 One of my favourite Japanese dishes is the donburi (more commonly known as don), so would I miss an invite to try the popular donburi place, Hayadon? Of course not! Started by 3 friends who met in Melbourne while studying, Hayadon basically serves up wholesome rice bowls (dons) with grilled meat and vegetables. They try to keep the recipes as authentic as possible, even bringing over curry powder from Japan to maintain the iconic taste. 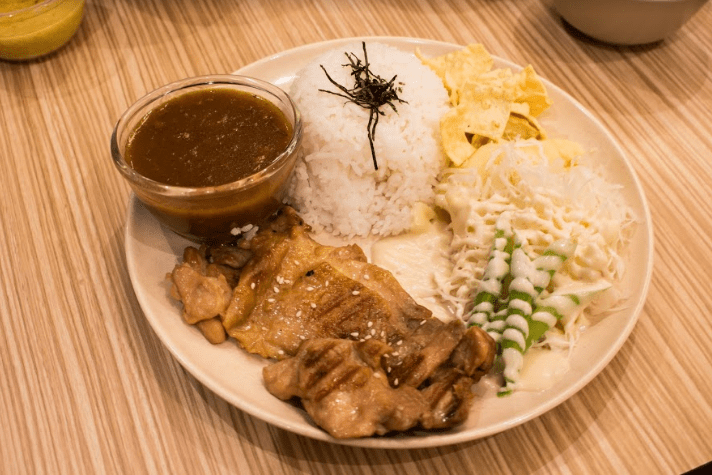 I fully expected a feast of dons when we visited their Quill City Mall outlet, and I wasn’t disappointed! The first don I tried was the Grilled Chicken with Mushroom Sauce Don, which is served with rice topped with shreds of seaweed, mayo-vegetables and little crisps. The grilled chicken was nicely cooked, with its natural juices still locked in. The mushroom sauce was unusual, quite Western on the tongue – with plenty of mushroomy nuances! This don felt like a good place to start, and would work well for beginners. Next came the Boneless Grilled Saba with Piri-piri Sauce, which also came with the regular trimmings, like rice and mayo-vegetables. 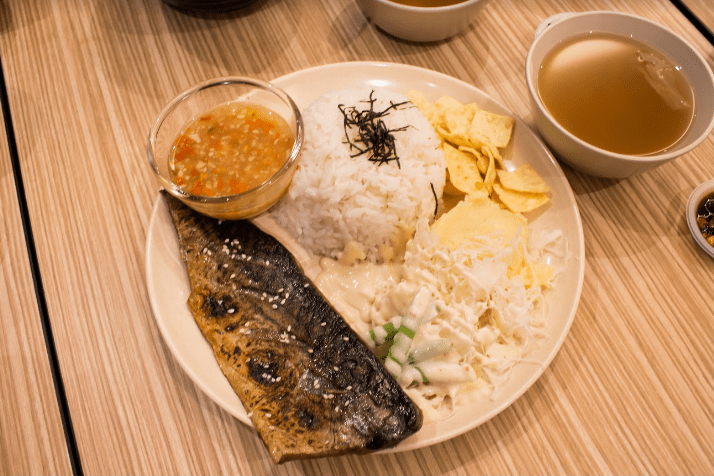 Saba fish, or mackerel, has a distinct taste and was well-complemented by the piri-piri sauce – which was surprisingly spicy even for my chilli-loving tongue! This combination went particularly well with the rice and vegetables, and we ended up cleaning our plates! It would be sacrilege if we didn’t try the ever-popular choice – Salmon with Teriyaki Sauce. Guess what – it definitely didn’t disappoint! The teriyaki sauce married the flaky, well-cooked fish perfectly, and for a while I felt like I was transported to Japan! The vegetarian curry rice was also very authentic, with a mild peppery flavour that blooms with each much. Lovely! We also had the opportunity to try traditional Japanese thick noodles, or udon, served by Hayadon. 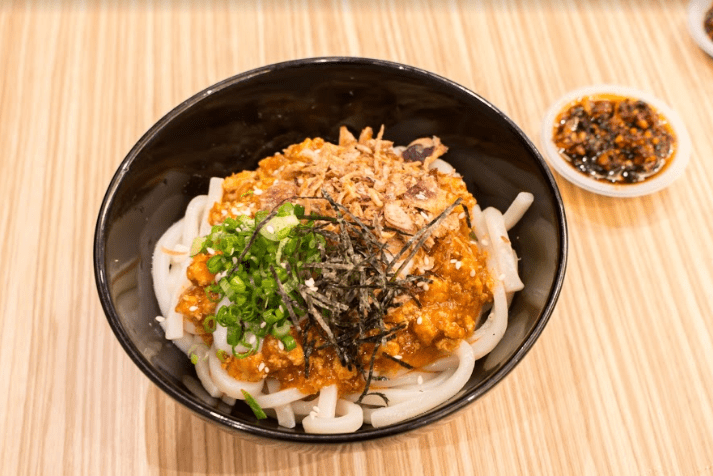 The curry udon and the dry spicy udon were both must-haves for udon lovers! Both were flavourful, and the dry spicy one was mildly piquant, but nothing too fiery – even beginners would love these! If you’re new to Japanese food and don’t want to dive into the deep end of the ocean (literally! ), start out with these cooked delights and enjoy the variety! Address: Unit 4-01, 4th Floor, Quill City Mall, Jalan Sultan Ismail, Kuala Lumpur. If she’s not busy writing, Yogeetha is usually researching fan theories about Game of Thrones characters or having a cup of coffee in solitude. Also, she loves doughnuts as much as she loves puppies!